As the owners of Oakbay Investments, with an 80% shareholding in Oakbay Resources and Energy, the Guptas could still run their companies from Dubai, an investment risk analyst said on Sunday. “In a nutshell, yes they can — shareholders of a company are its owners, not necessarily its managers,” said Daryl Ducasse, investment risk analyst and transaction advisor at Merkurius Capital Solutions. 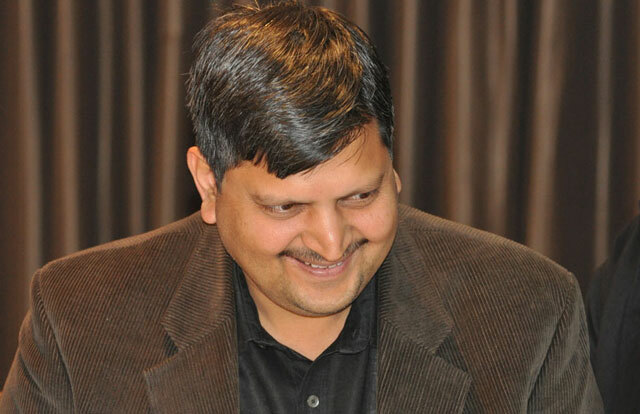 He was responding to queries on whether the Guptas have the ability to still run the company from Dubai even after resigning from the board of Oakbay Resources and Energy along with President Jacob Zuma’s son Duduzane on Friday. City Press reported on Sunday that brothers Ajay and Atul Gupta left the country just before midnight on Thursday amid increasing pressure on the family over their influence over President Jacob Zuma. Oakbay on Friday announced that Atul Gupta stepped down as nonexecutive chairman and Varun Gupta as CEO. Duduzane Zuma stepped down as a director of the company’s Shiva Uranium unit. Although they resigned from the board of Oakbay Resources and Energy, the Gupta brothers remain directors of Oakbay Investments, which has controlling stakes in other Gupta-owned companies such as Oakbay Resources and Sahara Computers. The resignations follow financial services groups KPMG, Absa, Sasfin and First National Bank cutting ties with Oakbay and other Gupta-controlled businesses to protect their corporate reputation as questions mounted about the family’s influence over President Zuma. “If they (the Gupta family) hold combined interests exceeding 50%, in the case of ordinary, or 75% in the case of special resolutions, and the directors have been placed in their positions by them, it is highly likely they can continue to control and influence the direction of the company and its activities from anywhere,” said Ducasse. The board is responsible for a number of things over and above operational performance such as compliance and exercising fiduciary duties, said Ducasse. “They have a duty in compliance first, as the Companies Act has put more personal accountability on directors for their actions. “The majority of shareholders of a company pass resolutions to support certain actions or inactions, and the board must follow those decisions. If those actions or inactions fall in conflict with compliance, you now have a situation where you need to rely on the integrity of the people serving on that board. “One would imagine that a board voting to propose, motivate and carry out the content of any resolution would have already addressed issues of conflict, compliance, ethics or other irregularities that may pose a danger to the company. Oakbay Resources and Energy is controlled by Oakbay Investments. Although it’s not clear who those shareholders are, it is safe to assume it is Gupta family members, said Ducasse. On how the Guptas’ departure will impact their business interests in South Africa, Ducasse said it is possible that Oakbay could benefit, “especially if they secure the long term positions they are seeking, and dilute their [the Guptas’]shareholding through a public offer”. “We are in a very dynamic stage in our new democracy, a crossroads. “If right is done, and the president resigns of his own accord or by the will of the ANC executive, we will grow exponentially. “If the cluster continues its strategy of deny and defend, we are heading on a dangerous path that has echoes of all abhorrent African dictatorship scenarios seen to date, the last being north of our border. “I doubt the nuclear deal will go through if the former path is taken, due to opposition and affordability constraints. Ducasse said if the Guptas have seen the writing on the wall, it’s not just because of media allegations that are unsupported by proof; “it’s also because they’ve milked the situation as far as they could”. Filling in for the Guptas, Oakbay Resources financial director Trevor Scott will now act as CEO, while Terence Rensen, a nonexecutive director, will serve as chairman. Oakbay did not respond to a request for comment on Sunday. Good article, but maybe a bit on the technical side. The bottom line is that the real power lies with the shareholders, and directors are effectively employees who need to to please the shareholders or face being fired for not acting in the company’s best interest, so an unequivocal “yes”! Shareholders determine the overall company policy, and they get to earn the profits while being able to whip directors into submission with their duties to comply to fiduciary and legislative aspects in the day to day running of the company. Guptas remain majority shareholders=Guptas remain in control and reaping benefits with less exposure. “it’s also because they’ve milked the situation as far as they could” – a telling quote. Despite the Gupta’s outcry that they are here to support the SA economy their only aim from the start has been how fast can they grow their fortunes and who do they need on board to do it.